Recommended for Garages, warehouses, lorries, perimeter gates, trailers and high security doors. Extra high security padlock, 5 wheels with 100,000 possible combinations - Recodable. 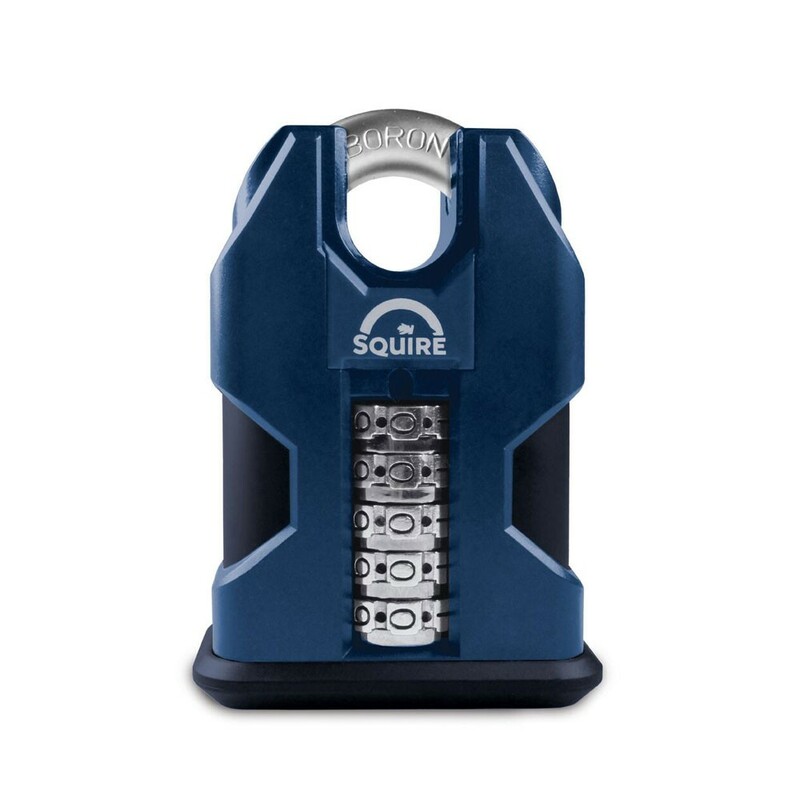 50mm Solid hardened steel lock body. 10mm hardened boron alloy steel shackles.Squire’s distinctive cover has been designed to fully protect the lock body and key cylinder from exposure to the elements of rain, snow, ice and the sun. It is made of highly durable, high impact ABS giving the lock excellent resistance against extreme weathers, dirt and sand. Unique easy to use open and closing mechanism.